Contracts / Salary: AEA: SPT contracts, non-union: $350/week. 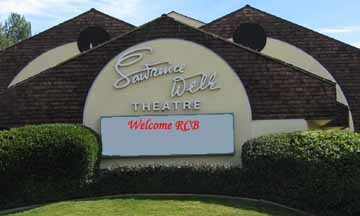 Join us at Welk Resort San Diego, where the Welk Theatre brings you the best of live entertainment, featuring top-notch actors, musicians and performers in Broadway-style musicals such as Forever Plaid and How to Succeed in Business Without Really Trying, as well as musical performances, comedy shows and illusionists. An evening at Welk Theatre San Diego includes a dinner buffet option and a museum with memorabilia highlighting the life and career of legendary bandleader Lawrence Welk. Please leave your comments about your experiences with the working environment at Welk Resort Theater below. Comments may be anonymous, but please remember to be respectful and professional, even in your critiques.